While Liverpool's main draw from a tourist standpoint is that The Beatles lived there, there is a wide variety on non-Fab Four things to see and do there. The best way to truly see and appreciate Liverpool is from above and below. From above, there's no better vantage point than Radio City Tower. Originally called St. John's Beacon, it was designed as a ventilation shaft for St. John's Market and completed in 1969 (presumably John Lennon should have been able to see it from his house). 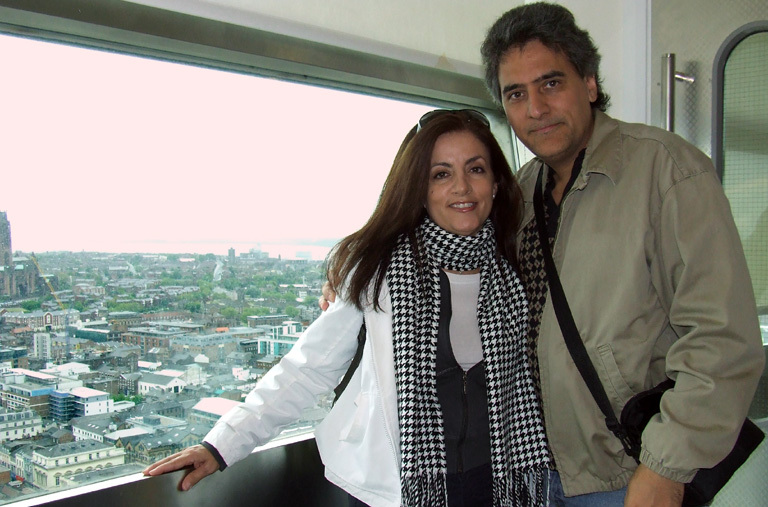 Similar to structures such as Toronto's CN Tower, The Space Needle in Seattle, Reunion Tower in Dallas and San Antonio's Tower of the Americas, the tower featured a revolving restaurant and an outdoor observation deck. Eventually these were closed, and the platform at the top was occupied by Radio City 96.7. The tower had closed for renovation but was recently reopened for tours on weekends. 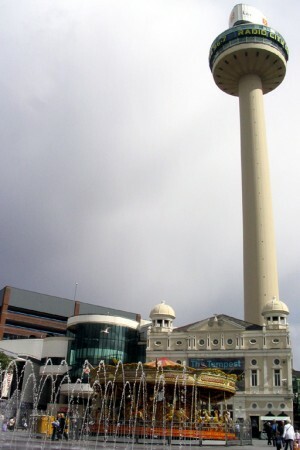 It had been the tallest structure in Liverpool until being replaced by West Tower in 2008. West Tower features the Panoramic restaurant on the 34th floor with a commanding view, but be forewarned that dinner will probably run you the equivalent of front row tickets to a Paul McCartney concert, whereas Radio City Tower will only set you back about £6.25. Just as fascinating as the liver bird's view of Liverpool is the mole's-eye view (if moles had decent eyesight). A trip to the Williamson Tunnels is called for to get a revealing look at what lies beneath Liverpool. The tunnels are historic, having been undertaken as a project by their namesake, tobacco magnate Joseph Williamson. Williamson was not born into wealth, but through hard work was able to amass a small fortune. At the turn of the 19th century he purchased land in an area of Liverpool called Edge Hill and in addition to constructing homes on the site, began the construction of a series of arched brick tunnels stretching for miles beneath the city. This eccentric behavior earned him the dubious title of the Mad Mole, but there was actually a benevolent purpose for the seemingly unnecessary tunnels. There was considerable unemployment in Liverpool at the time, and in order to provide workers with a job where they could earn a day's wages with some dignity, he contracted them to build the tunnels (similar to Roosevelt's Works Progress Administration, a program that would be a decent idea given the current economy). This entry was posted in Trippy Trips (On the road and overseas, things to see along the way), UK and tagged Liverpool, Panorama, Radio City, tunnels, UK, Williamson. Bookmark the permalink.